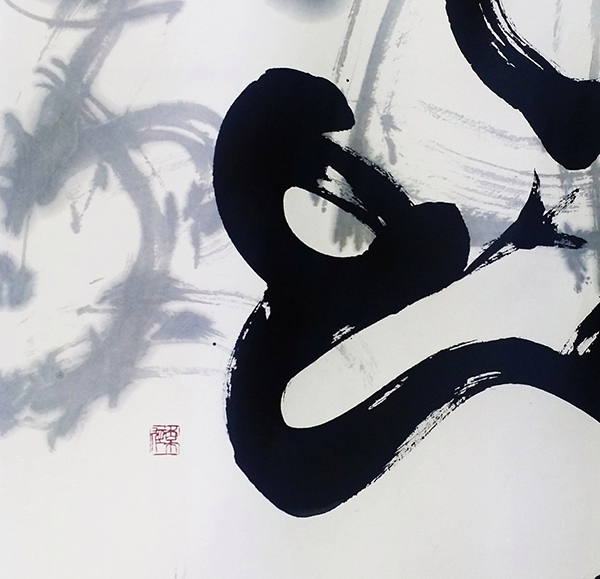 The Contemporary museum of calligraphy opens its doors again after the summer holidays, on September 3. We welcome our old friends and new visitors to our renewed permanent exhibition. You will see the works of famous calligraphy masters from all over the world. 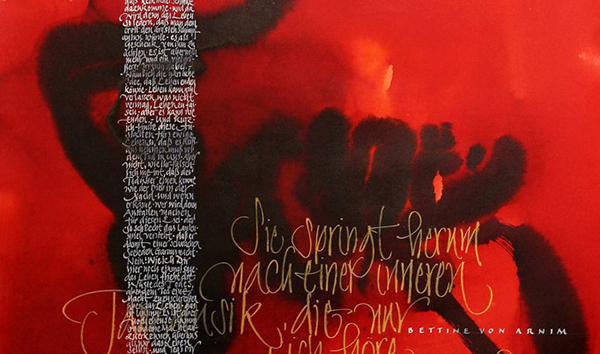 For example, there will be works by Katharina Pieper, a calligraphy artist from Germany. She presents a calligraphy piece “But my soul is a passionate dancer”. In the red background, which here symbolizes the dancer's “Room for the Soul”, there is a vague indistinct word, “Tanz” (Eng. “dance”) written with a large brush over the wet colour. Thus, Katharina creates an illusion of the word transitioning into the colour. The text written in an expressive Italic over the red background conveys the passion. The long column of text written in white colour increases tension, creating an effect of a pillar of light penetrating this work. A Belorussian calligrapher Vsevolod Sventokhovsky exhibits his work Letter "Д" from The Terratological Alphabet series (Greek “Teras” - monster). The silhouette of the letter “Д” reminds one of some fabulous creature, a shadow that steps gently from the past, composed of a mix of some odd images of floral and animal nature. 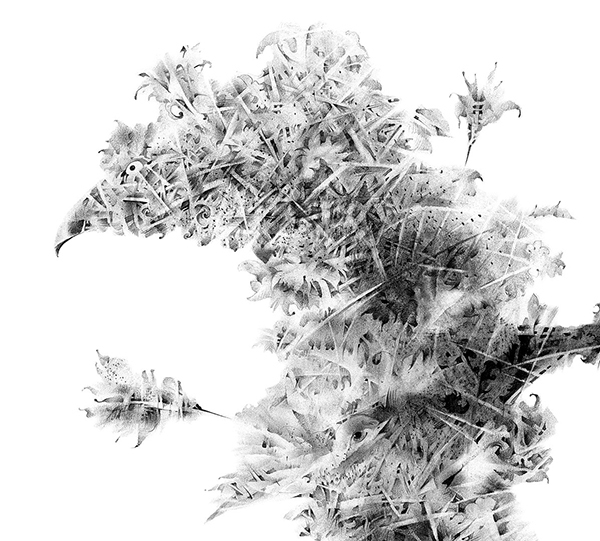 Interpretation of these images is left to the viewer’s imagination. The work “Dragon” represents the Japanese calligraphy master and president of the Seiho Calligraphy association Uehira Baikei. The calligraphy piece shows the battle for dominance between two certain powers. The significance of these two figures is expressed through the tonal contrast created by the combined use of two types of ink, a diluted hand-mixed ink in a semi-cursive style and a special extra heavy liquid ink in the foreground. The Master highlighted the complexity of images using different writing styles. Hereinafter you can see pieces of these works. In the next announcement we are going to tell you about the work of renowned Israeli calligrapher Avraham Borshevsky, who will exhibit his artwork for the first time.